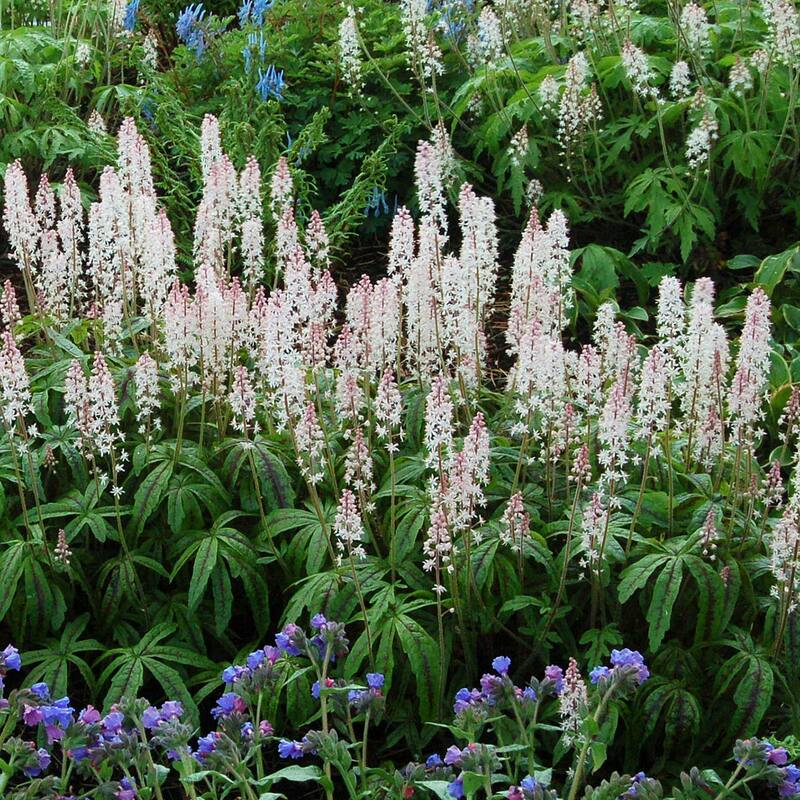 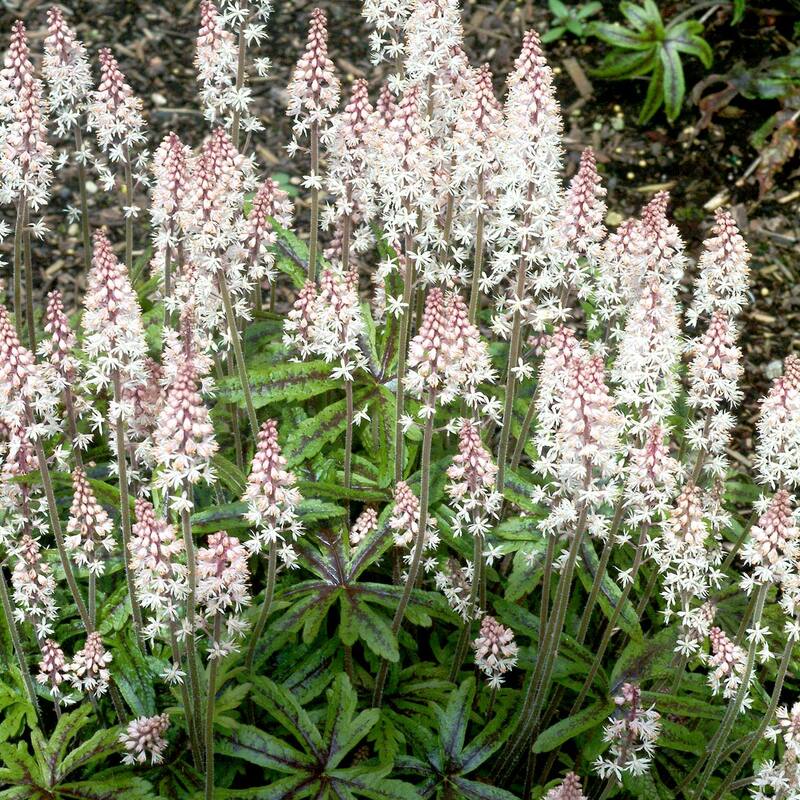 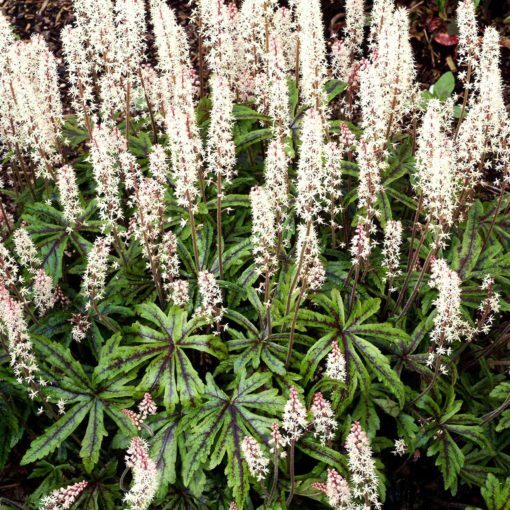 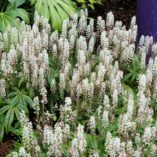 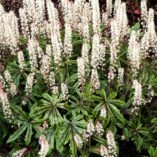 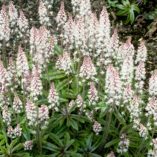 Tiarella ‘Candy Striper’ | TERRA NOVA® Nurseries, Inc. 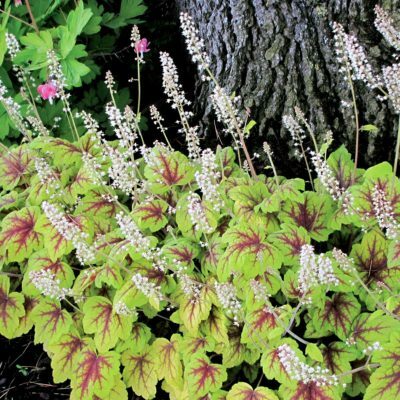 The large, lush, green leaves have a dark stippled stripe down each leaf lobe. 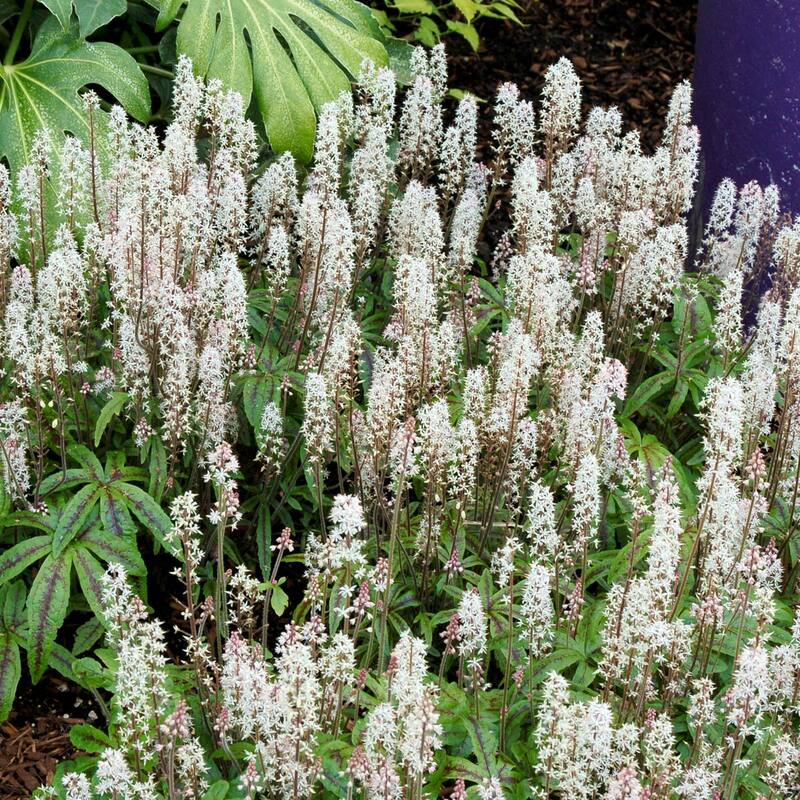 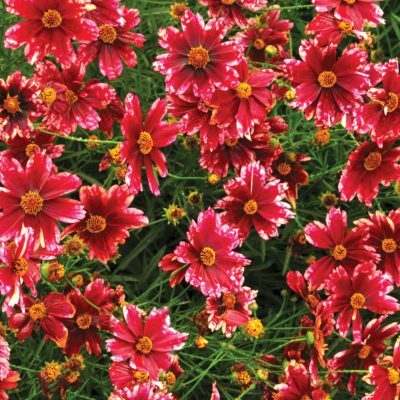 'Candy Striper' has a mounding habit, large leaf size, pink flower buds, and white, foamy flowers in spring. 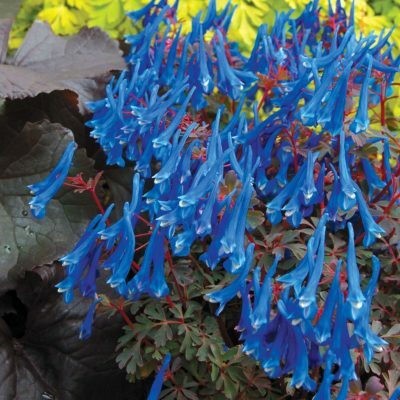 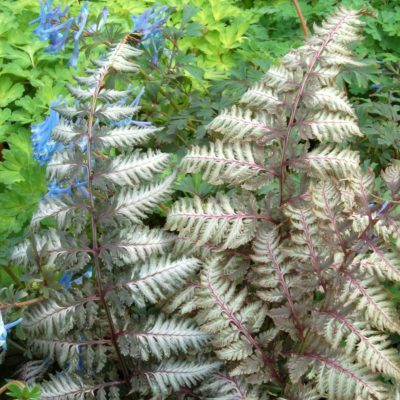 It combines strikingly with Athyrium 'Burgundy Lace' and Pulmonaria. 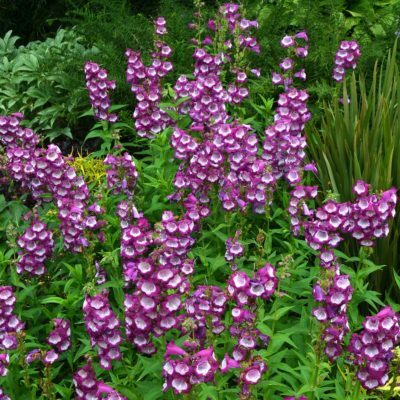 10" / 16" / 14"
It has distinctive leaves, that are larger than many with a stippled dark stripe down each lobe.